The organiser of NPE2018 says this year’s event – which takes place on 7-11 May in Orlando, Florida ­– will allow visitors to track trends, innovation, new products and connect with industry leaders. NPE2018 brings together all industry sectors, including vertical and peripheral markets, end markets, brand owners and recyclers. Held every three years, it attracts more than 65,000 plastics professionals and features industry-focused education and leading suppliers of emerging technologies, equipment and materials for every phase of plastics processing – all in more than 1.1 million square feet of exhibit space. Building on its most successful show in 2015, held in Orlando, Florida, NPE2018 anticipates even greater participation from up and down the global plastics supply chain when it returns this year. 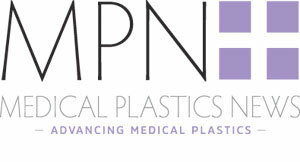 NPE is produced by Plastics Industry Association (PLASTICS) which has announced that this year’s event debuts a new Medical Parts Processing Zone among the Technology Zones on the show floor located in the South Building. This new sector-specific zone focuses on plastics materials, processes and technology advances for medical devices and diagnostics in healthcare industries. Propelling the demand for this specialised zone is the forecasted 3% growth in revenue from medical device manufacturing anticipated by 2023. This growth is centred around the emerging trend for using plastics in the medical and healthcare industries to create pioneering medical devices, equipment and treatment items. “Breakthroughs in the use of plastics will drive future medical care efficiencies and bring life-saving advances to hospitals globally,” says Glenn Anderson, NPE2018 executive committee chair. The use of plastics in cleanroom technology is providing cost-effective and environmentally friendly innovations to the medical industry. It is imperative that sterile medical equipment is manufactured in a modern controlled environment. The equipment, supplies and solutions making this possible will be among the highlights in the zone and will give attendees the opportunity to explore options that meet the medical industry’s high business standards. The medical breakthroughs of today would not be possible without plastics. From barrier technology to 3D-printed prosthetics to new treatment methods, medical manufacturers can find the robotics, automation and supplies for tomorrow’s healthcare not only in the Medical Parts Processing Zone, but throughout the Technology Zones in the Material Science, Flexible Vinyl, 3D/4D Printing, Thermoforming and Processors Zones. NPE2018 will feature 11 Technology Zones to help to create discussions between the attendee and suppliers on the newest equipment, processes and education opportunities transforming the plastics industry. Some of the highlights include the expanded Re|focus Zone and 3D/4D Printing Zone, all designed to address the growing market demands, highlight innovations and technologies and provide customised education. NPE is a recognised trade show and conference serving the plastics industry, its verticals and end-user markets. This year’s event will provide access to industry-leading and emerging suppliers from over 2,000 companies showcasing the latest products, processes and technology. With 65,000+ attendees from over 100 countries on the show floor, the event organisers says it is the best place for plastics industry attendees to boost their production and efficiencies.